Virginia Contractors License Bond ~ SuretyOne.com, National Surety Bond Leader! A Virginia contractors license bond is required under certain circumstances when a contractor applies for authority to operate in the Commonwealth. The trigger for the surety bond requirement is contractor “net worth”. Virginia contractors are classified by the Department of Professional and Occupational Regulation, Board for Contractors. The classes are defined with some exceptions for specialty trades. 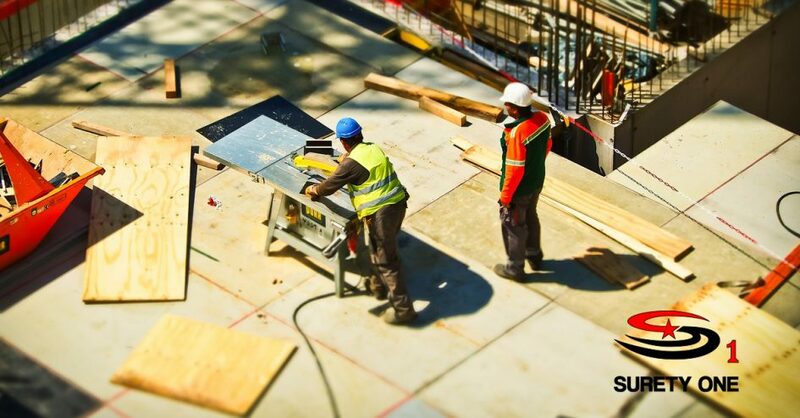 The Code as codified obligates a contractor to file a Virginia contractors license bond as “proof of financial responsibility” if the contractor’s financial condition falls below certain thresholds. Per the DPOR, excluding any property owned as tenants by the entirely, applicants for a Class A license must document a net worth or equity of $45,000 and Class B license applicants must document a net worth or equity of at least $15,000. The require subjects the obligation to adverse selection. The surety bond guarantees that the contractor will comply with Chapter 11 (§ 54.1-1100 et seq.) of Title 54.1 of the Code of Virginia and all Board Regulations. The bond form contains a split-claims provision. The maximum amount payable by the surety for a claim arising out of a single transaction which meets the requirements as set forth in § 54.1-1120.1 of the Code of Virginia shall be $20,000 but limits the surety’s aggregate liability, regardless of the number of single claims made against the bond or the number of years the bond is in force, to the penal sum of the bond. SuretyOne.com, Virginia surety bond leader is a bond underwriter, international insurance brokerage and surety-focused managing general agency licensed in all fifty states, Puerto Rico, U.S. Virgin Islands, Canada and Dominican Republic. We specialize in surety bonds (commercial and contract), fidelity bonds, and pure financial guarantee. Unique among surety underwriters, Surety One, Inc. enjoys very broad binding/issuing authorities and non-standard capacity for subprime credit applicants. Call (800) 373-2804 or email Underwriting@SuretyOne.com for more information about a Virginia contractors license bond application package or information about any surety bonding need.